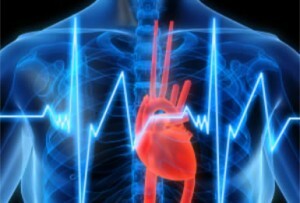 In early 2009, a 90 day human clinical study was conducted at the High Desert Heart Institute. The study included 35 congestive heart failurepatients from the Congestive Heart Failure Unit at the institute. The study concluded in July 2009 with 33 patients. One of the patients dropped out because he received a new heart. The other patient dropped out because they were not able to remain compliant with the study’s protocols.Each patient over the course of the 90 day study received rather extensive diagnostic testing which generated approximately 7000 points of data. The patients chosen for the study had all reached a virtual point of no return, a maximum of their pharmacological & medical management system in place. Each patient was given 4 scoops of ProArgi-9 per day for 90 days. Each scoop contains 5 grams of Pharmaceutical grade L-Arginine as well as several other ingredients that support Nitric Oxide production & heart health. Due to the remarkable success of this study, the High Desert Heart Institute has formally implemented an L-Arginine protocol utilizing the ProArgi-9 Plus as part of their routine standard of care for all patients.